Defining the transformation of Indian wellness industry from an unstructured nascent beginner to constantly evolving market, offering adequate opportunities, Basesh Gala, Founder & MD, 39 Solutions, takes a queue over the industry growth prospects. 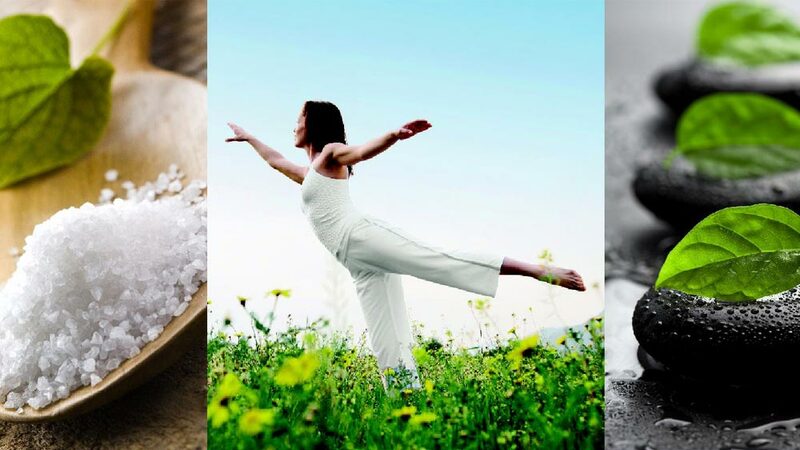 Wellness concepts have focused mainly on the basic necessity of an individual - focus on health, nutrition and relaxation. As time has progressed, wellness as a concept has evolved into a multifaceted definition, comprising of exclusivity, collective welfare and the individual’s desire for social acceptance. From its nascent unstructured beginning in the early 90s, the Indian wellness industry has evolved into an overarching ecosystem that consists of consumers, service/product providers, adjacent industries, facilitators and the government. Indian legacy and tradition continues to leave its traces even in the 21st Century. A percentage of the Indian population is successful in connecting strongly with the traditional services like Ayurveda, Yoga and Homeopathy, even today. They not only trust, but also believe in the goodness of natural and herbal products. Consumer today takes command of how they feel and look, influencing buying decisions across categories like F&B, personal care products and services. Response to this, marketers have introduced products and services that today constitute the Rs 700 billion wellness market in India. As India has emerged to be the third biggest country with obese people after the United States and China, it embarks the need to spread awareness on the significance to stay fit. While Indian players have forayed in this industry, the potential still remains largely untapped. Wellness now is a part of a consumer’s everyday life. Consumer lifestyle along with growing influence of global trends has now changed the face of wellness and personal grooming. This change has forced the industry players to shift focus from curative healthcare and value oriented mass products to new generational offerings like personalized services, luxury products and preventive healthcare. Under its prime focused ‘Make in India’ campaign, government is giving impetus to meet the rising demand in India and abroad for the ancient healthcare systems. The Government of India has set up a dedicated Department of Yoga, Ayurveda, Naturopathy, Unani, Siddha and Homoeopathy. This has rose India to become the second largest exporter of homoeopathy and herbal products in the global markets. The focus and efforts are on the expansion and awareness spreading as the prospects of the wellness industry continues to look bright, expecting the industry to grow by 20- 30 per cent year-on-year. Even the adjacent industries like hospitality, healthcare and retail are assimilating wellness as part of their value proposition, creating huge opportunities. Despite the economic slowdown in 2012, the average consumer spends on wellness products and services continued to be resilient. A key concern and challenge, for many recent entrants and even functionary, has been ensuring sustained revenue growth with profitable operations accompanied by increasing costs. “We are not able to scale up our businesses in India. Moreover, we are not able to promote our products in the international market. Instead, a lot of multinational products have entered into Indian market and have scaled up too. They have been able to capture the market in India because they have a process to run a business. In India, we are lagging behind in this part,” viewed C K Kumaravel, Managing Director, Naturals Beauty Salon India Pvt. Consumers and their needs will continue to evolve. This has driven the transition from remedial care to the much comprehensive view on preventive care. This augurs well for the wellness industry in India. As the industry grows in an unorganized and clumsy fashion, the challenge to be strategically efficient has become even more complex. Thus, it now has vital importance to identify potent players and their challenges, and derive strategic solutions to overcome those challenges by tapping maximum potential. Corrective measures to tackle these challenges have been developed in the past. However, factors like low consumer awareness and difficulty in execution around certification have restricted the industry from achieving its desired results. By 2020, over 65 per cent of all mortality will be linked to chronic diseases. Projected foregone national income due to heart disease, stroke and diabetes between 2005 and 2015 is estimated to be around Rs. 900 billion, which marks the significant and increasing potential of the wellness industry in the country. The time is right to entrust in a Strategy Consultant! Consulting firms today are ensuring end to end business solutions to its clients. It explores the potential of the industry by respectively relating it with the fresh entrants as well as the existing players, ensuring horizontal practices which specialize in cross-industry proficiency such as strategic services, assurance services and analytics. It will help construct a strategic plan, reflecting the thoughts of leaders in the health and wellness industry. Its focus and aim will strive to achieve pre-determined success factors, which include, developing scalable models for growth, product innovation for target consumers, demolish one-size-fits-all concept and adopt multiple pricing models and various other marketing strategies to achieve success. Strategy consultants add value to organizations by providing them with unique expertise, not easily available within the organizations. The combination of lack of diagnostic expertise with lack of innovation or speed of response in clients provides a rich opportunity for consulting firms to add value to their clients through their problem-solving skills. 1. Leadership development & training: Coaching and mentoring business leaders to create an organization that creates a distinct mark on the market. 2. Organization Building: Creating firm culture and structure to attract, retain and train the right talent to deliver effective results. 3. Business Plans: Creating plans, ideas and trade-offs for execution. Simply put, strategy is deciding what to do and what not to do. 4. Performance systems: Measuring, auditing and providing feedback of individual, department and firm performance. Unless progress is documented and measured, focus and success is rarely achieved. 5. Brand: Creating and enhancing the ‘brand’ as well a story that emotionally ties in with employees, customers and creates a powerful strategic advantage. Strategy consultants help in creating and executing an integrated marketing communications plan. 6. End to End execution: A strategy partner provides 3600 solutions as well as end-to-end guidance to create cohesive and inclusive growth. With the said potential of the wellness industry in India, Strategy consultant is the premiere step on the pathway to sustained growth, marks the need of the hour. This article is written by Basesh Gala, Founder and Managing Director of India’s premier strategy and brand management firm 39 Solutions, as per his personal experience and research.